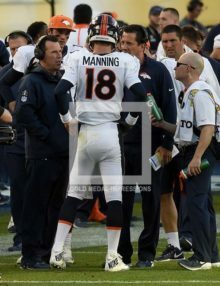 Denver Bronco’s Peyton Manning talks with head coach Gary Kubiak at Super Bowl 50. 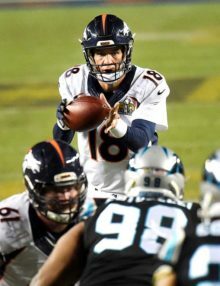 Denver outplayed the Panthers to finish the game 22-10. 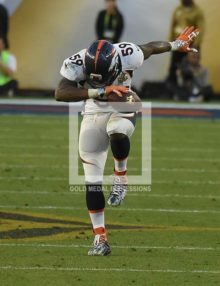 Denver Bronco’s Danny Trevathan takes a bow after recovering a Carolina Panthers fumble at Super Bowl 50. Denver outplayed the Panthers to finish the game 22-10. 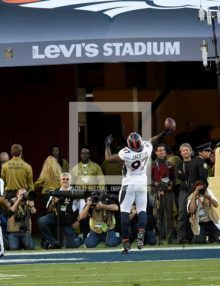 Denver Bronco’s Malik Jackson throws ball into the stands after scoring on a recovered Carolina Panthers fumble at Super Bowl 50. Denver outplayed the Panthers to finish the game 22-10. 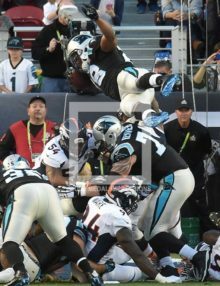 Carolina Panther’s running back Jonathan Stewart scores on a fantastic leaping running play over the Denver Broncos defense at Super Bowl 50. 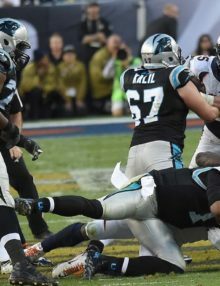 Despite this play Denver went on to defeat the Panthers 22-10. 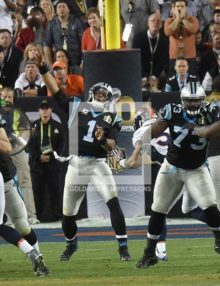 Carolina Panther’s Cam Newton on the run from the Denver Bronco’s ferocious defense. 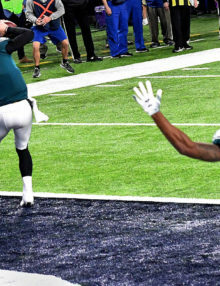 Cam Newton completes pass to Corey Brown at Super Bowl 50. Denver went on to defeat the Panthers 22-10. Beyonce rocks the packed stadium at Football Championship 50 halftime show, some say channeling the late, great, Michael Jackson. 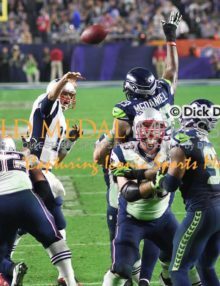 Denver Bronco’s quarterback PAYTON MANNING receives the snap from center in the closing minutes of SUPER BOWL 50 at Levi’s Stadium. MANNING led his team to a 24-10 victory becoming the oldest quarterback to win a Super Bowl and the only quarterback to win a SUPER Bowl with two teams. 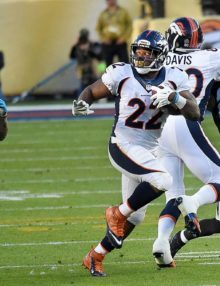 Denver Bronco’s running back CJ Anderson scores the winning touchdown against the Carolina Panthers in the fourth quarter at Levi’s Stadium. 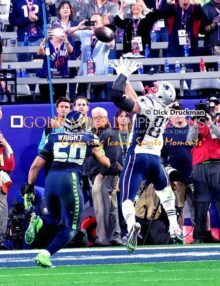 The Bronco’s went on to win Super Bowl 50, 24-10. 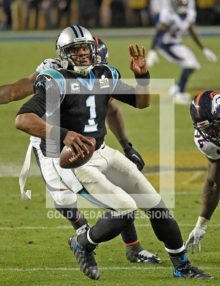 Denver Bronco’s safety TJ Ward recovers a fumble by Cam Newton in the fourth quarter of Super Bowl 50. 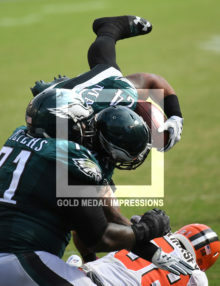 The Bronco’s went on to win 24-10. 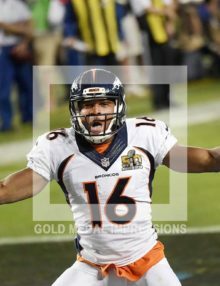 Denver Bronco’s wide receiver Bennie Fowler celebrates scoring a two point conversion on a pass from Payton Manning in the fourth quarter against the Carolina Panthers. 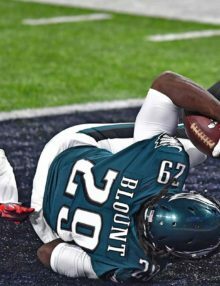 The Bronco’s won Super Bowl 50 24-10. 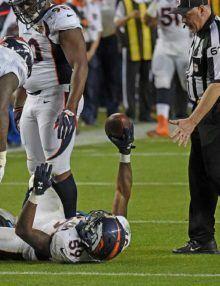 Denver Bronco’s De Marcus Ware sacks the Carolina Panthers Quarterback Cam Newton in SUPER BOWL 50. 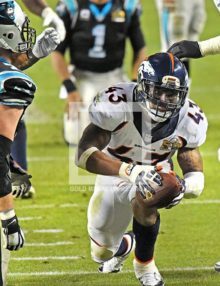 The Bronco’s went on to outplay Carolina in all 4 quarters of the game and went on to win 24-10. 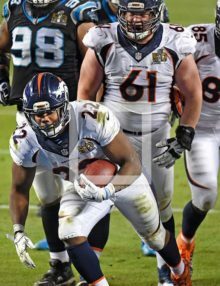 Denver Bronco’s running back CJ ANDERSON runs for a first down against the Carolina Panthers in SUPER BOWL 50. The Bronco’s went on to win 24-10.